This health insurance review is for the Work First Health Insurance Company, also known as WellSpan Health. Work First is the occupational health arm of WellSpan Health, and offers a variety of health-related services to its customers and patients. WellSpan Health is a health system made up of hospitals, physicians, medical centers and more and serves a large portion of eastern Pennsylvania. Work First is not a health insurance company and does not offer health insurance products in individuals and families. If you are interested in obtaining health insurance coverage, you must contact another insurance company or an independent agent. The main hours of Work First Health are 7 a.m. to 7 p.m. on Monday through Thursday, 7 a.m. to 5 p.m. on Friday, and 8 a.m. and noon on Saturday. Office hours are 8 a.m. to 4:30 p.m. Monday through Friday. There are several additional office locations for the other subsidiaries of WellSpan Health, and those are located in either York or Gettysburg, Pennsylvania. These include the administrative offices of the health system. As a reminder, Work First does not provide health insurance coverage, and individuals cannot obtain health insurance coverage through Work Force. Work First offers its business customers a 24-hour a day workers compensation program. When the Work First offices are closed, covered individuals can go to any of the WellSpan hospitals and urgent care centers. Work First prides itself on offering excellent and efficient handling of workers’ compensation claims to ensure that the employee returns to work quickly and the company is satisfied with the overall results. Work First also offers either pre-employment physicals to businesses that require new employees to receive a complete check-up prior to starting their individual jobs. This includes physicals for individuals who are planning to work for the Department of Transportation as a driver. Work First also offers customized fitting of respirators to ensure that the company is meeting all state and federal regulations and that the employee is properly protected. Additional examinations that are also required before employment commences are offered through Work First as well, such as employees that are planning to work in a setting with hazardous materials. Work First also provides yearly exams and complete health evaluations for company executives. Work First has a comprehensive drug and alcohol-testing program in place, including specialized testing for Department of Transportation employees. This includes several different types of testing, including urine, blood, breath and random testing. Just as importantly, Work First provides several employee education programs for both employees and managers on the importance of maintaining a drug and alcohol-free workplace and how to spot warning signs of abuse. Work First makes their entire drug testing results available to business clients with 24 hours through the internet or by calling a toll-free confidential results phone number. 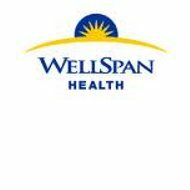 There is a complete listing of job openings at WellSpan, including the jobs available at Work First. Interested applicants can create a job agent that includes their interest and resume, and it automatically matches their experience and interest with the open jobs at WellSpan. The open positions listed on the website are broken down by job category, including administrative, professional, nursing, information technology and other. Individuals interested in employment opportunities at WellSpan within the Work First occupational health division are encouraged to search under the rehab services job listings. WellSpan also allows applicants to make updates and changes to their resume within the job search agent function. This allows the individuals to reapply for different positions as they become available.